paul cocksedge has revealed his studio’s ‘impossible’ proposal for the UK pavilion at expo 2020 dubai, a design that was shortlisted as part of a competition organized by the UK government. 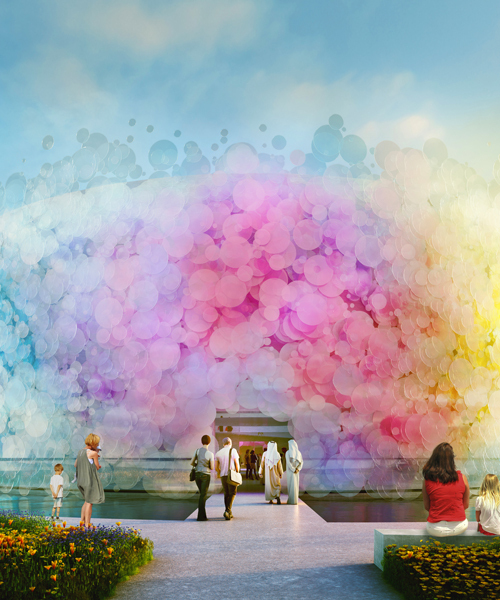 described as a living watercolor, at the heart of the pavilion a sculptural centerpiece envelops visitors in color and light. 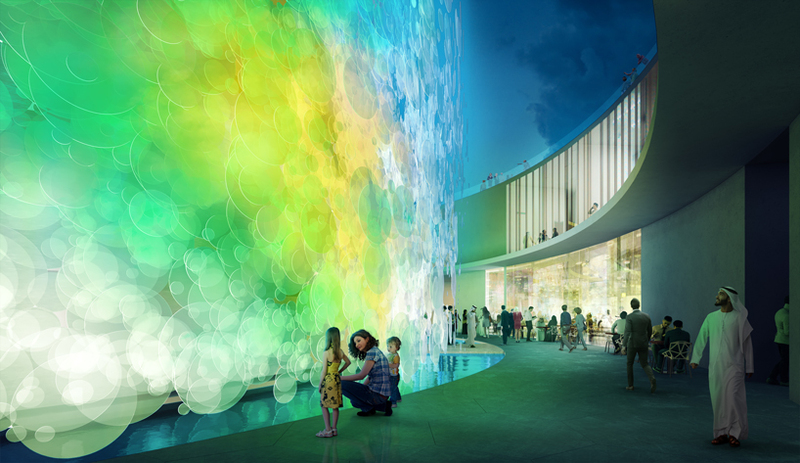 designed in partnership with IDOM and arup, the structure would be made from thousands of translucent glass discs, overlaid on top of one another. together the discs create a three-dimensional chromatic experience, the conditions of which are altered by the shifting sun and shade. every color in the pavilion comes from the flag of a nation exhibiting at the event, expressing unity, partnership and possibility. 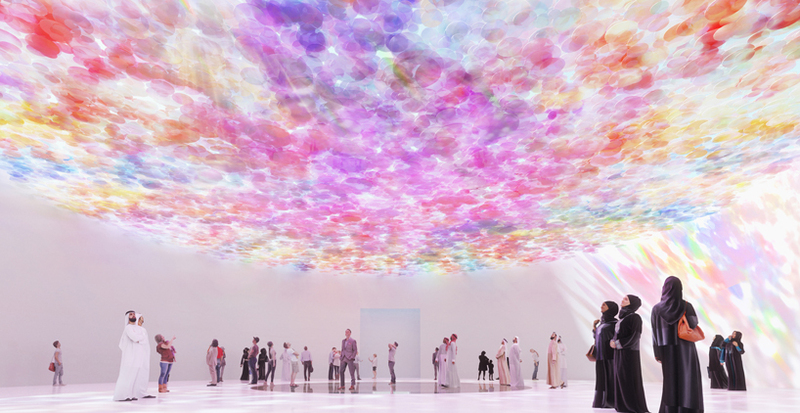 the overlapping shades reflect the theme of the expo – connecting minds, creating the future. the design was chosen from a longlist of over a hundred entries, with a design from es devlin eventually selected as the overall winner.